Have the Best School Fun Fair Ever! the most awesome event ever! The Mega Event® gives you more! We pride ourselves in providing the very best services. Make your Next Fundraiser a Success and Have Fun! You can sell almost anything Cookie Dough, Candy Bars, Gift Wrap, Pizza, Discount Cards and much more. At Palmer Marketing, Inc. We offer catering and any Event you have can become The Mega Event with our inflatable games including but not limited to the Moonwalk rental. Did you know that the Moonwalk is also known as the Moonbounce or Spacewalk. Our Moonwalk rentals are not just limited to the Chicago area we also serve many other areas in the Midwest like Milwaukee, Michigan, Iowa, Indiana, in the Chicago area we serve many communities including Addison, Lombard, McHenry, East Dundee, Elmhurst, Chicago, Plainfield, Mount Prospect, Carpentersville, Tinley Park, Wheeling, Mundelein, Waukegan, Cary, Hinsdale, Lake Zurich, Westchester, Berwyn, Rockford, Round Lake, Yorkville, Antioch. 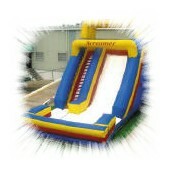 We can make a successful Carnival Event for your School or City Festival. 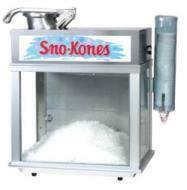 Our party rentals include popcorn machines, karaoke machines, sno-cone machines and much, much more. The Moonwalk rental is one of the favorite Inflatable Rental we have, smaller children just love the Moonwalk, Moonbounce or Spacewalk along with all of our other exciting inflatable games. The Inflatable Rentals sure draw a large group of kids having lots of fun. So Don't forget your Moonwalk rental when you plan your next special Mega Event remember we serve a large are and not just limited to the Chicago area! Palmer Marketing, Inc. offers great Fundraising Reward Programs including The Original Mega Event® Fundraiser Reward Party and School Fundraising Ideas!